When choosing curtains and drapes for your home décor, style is not the only consideration you take care of. It is necessary to think about the functionality as well. Do you want complete privacy and total darkness when the curtains are drawn? Or do you want some light to filter through the curtains and drapes into the room? Depending on your various requirements, you need to decide the type of curtains and drapes you want for your house. Here are a few tips to find curtains and drapes perfectly for your home. Depending on the general mood you want to set in the room, you have to pick the appropriate color and texture of the fabric. If space is formal, pick heavy materials such as heavy silk or velvet. Silky rayon blends and cotton sateen are practical options for home since these materials are easily washable. Cotton blends and season-less wool blends are also suitable for the home. If you want a casual décor, crinkly crushed velvet or billowy linen are good options. While choosing the color for your curtains and drapes, think whether you want the color to blend in with the overall décor of your room or you want it to pop. If you want the curtains to blend in, pick colors that have the same tone as the walls of the room, but a couple of shades darker. Or you can pick a subtle shade that is non-dominant in the room. Pick a bold color if you want a dramatic effect. Pick patterns and prints, only if the room has solid-colored furniture. Generally, curtains and drapes should be of floor-length. Before buying or making your curtains, properly measure from the floor to where the rod for the curtains will be fixed. If there is a radiator of a deep sill, the curtains should reach just above these. It also looks good, if the curtains hang just half an inch above. If you want a more stylized look, you can have your curtains pool on the floor by adding a few inches extra. However, this style can be quite high-maintenance since you will need to re-fluff them every time you vacuum the room. 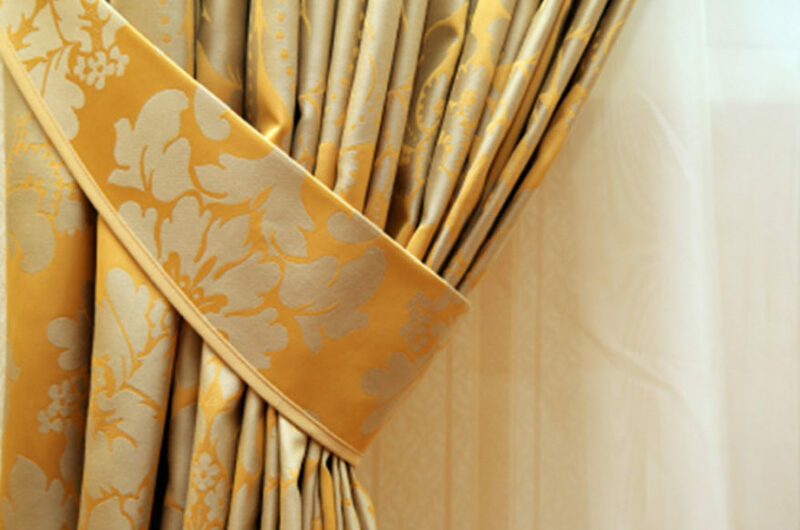 The type of rod depends on the style of the room and the design of the panels chosen for the curtains and drapes. You can pick from classic rods, return rods, track rods, or tension rods. Classic rods are adjustable and have decorative finials at the ends. The metal finish can be matched with other colors in the room. Return rods are u-shaped adjustable rods that can be screwed directly to the walls. Track rods have hooks to glide the curtain and drapes. These can be fixed on the ceiling or wall. Tension rods are best lightweight curtains since these rods are not very sturdy.